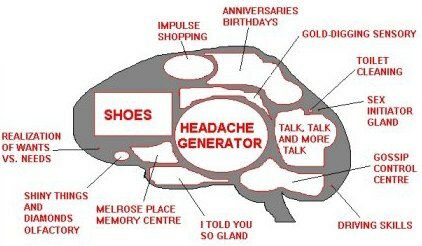 A funny diagram outlining the female brain. Note: The "Put Oil into the Car" and "Be Quiet During the Game" glands are active only when The "Shiny Things and Diamonds" olfactory has been satisfied or when there's a shoe sale. Funny,where did you get this one?